Expobiomasa 2019 will be held in Valladolid from September 24 to 26 and will serve as a meeting point for biomass professionals from southern Europe with the aim of demonstrating that the sector has the necessary tools to meet the new challenges of society. In recent years, some 4.5 million high-efficiency biomass stoves and boilers have been installed in Europe, according to data released by the EPC 2017 survey. These units and the more than 315,000 professionals dedicated to solid biomass have allowed biomass to be used locally and sustainably, preventing the consumption equivalent to some 98,000 million liters of heating oil. It does not come as a surprise that this most important renewable at the European level will allow us to be self-sufficient for 43 days this year. 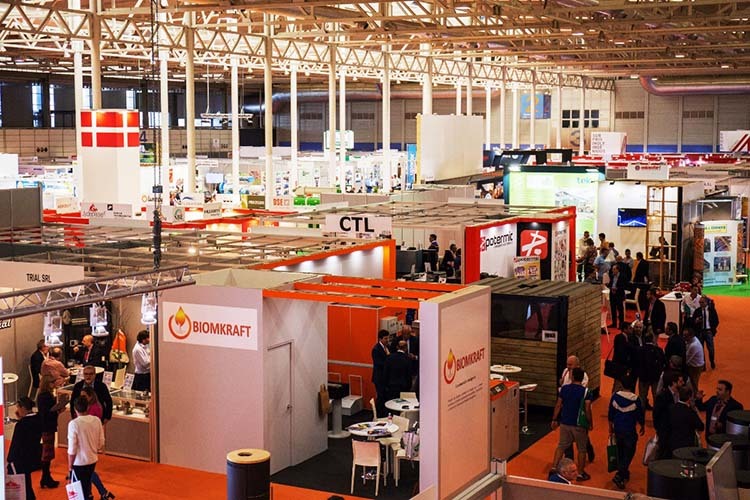 Faced with this growing market, Expobiomasa has evolved in recent years in a bet for a market that still offers many opportunities in Spain and Portugal, while it remains a connecting spot between European technology and Latin American professionals. It is a fact that biomass is gaining presence year after year in the Spanish energy mix. The new biomass stoves and boilers have experienced a very important growth in recent years, for one essential reason: the significant economic savings that this solution represents compared to spending on fossil fuels, or the high cost of electricity, since biomass represents a considerable saving for families, companies and the administrations themselves. The forestry sector in Spain, as is already happening in Europe, welcomes the fact that an increase in sustainable biomass consumption will help to mobilize much more wood and help overcome the abandonment of forests. And for industry and service companies it is virtually impossible to find another energy technology that complies so coherently with the postulates of the Circular Economy, the control of operating costs and the management of by-products. The traditional use of biomass in Spain is maintained in a large part of rural society, as well as in the agri-food and forestry industry. Around 12% of the energy for heating is generated with biomass. And of that percentage, 30% corresponds to the new stoves and boilers, more modern with automatic feeding and technologically advanced that bring clean and renewable energy also to the cities and to the service sector. This figure barely reached 8% 10 years ago. Finally, in Spain, the number of high-efficiency biomass facilities has increased from 9,600 in 2008 to 244,197 in 2017. Of these new facilities, 90% are pellet stoves. The rest are domestic boilers, with a power lower than 50 kW (15.755), as well as for industrial or collective use (11.336) with powers greater than or equal to 50kW.